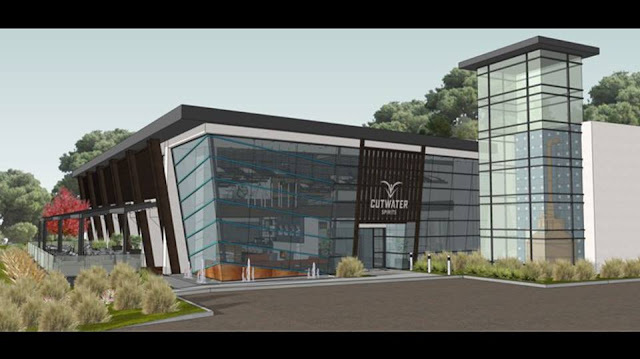 Former Ballast Point Founder Jack White & COO Yuseff Cherney, who left the company last summer after selling the brewery portion of the business to Constellation Brands, are rebranding Ballast's spirit division into Cutwater Spirits and will open a 50,000 square-foot distillery, bar and restaurant in San Diego's Miramar neighborhood. After selling the craft brewing portion of Ballast Point for $1Billion to Constellation Brands in November 2015, founder Jack White & COO Yuseff Cherney stuck around and assisted with the company's transition until leaving in July 2016. The former company executives continued to own the spirits portion but had to relinquish the rights to the "Ballast" label, so the rebranded Cutwater will now be producing the former Ballast spirit line including Devil's Share Whiskey, Three Sheets Rum, Old Grove Gin, Fugu Vodka, the canned cocktail line, and the popular Bloody Mary and Mai Tai mixers. The company will also begin producing new spirits like the Opah herbal liqueur. 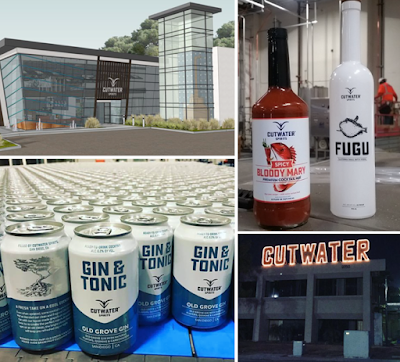 Cutwater's new facility is currently under construction at 9750 Distribution Avenue in Miramar and will include a 30,000-square-foot distillery, as well as a full restaurant with a dedicated tasting bar and an expansive outdoor patio. Cutwater was named after the seabird known for skimming the water’s surface for prey. For more information, visit cutwaterspirits.com.